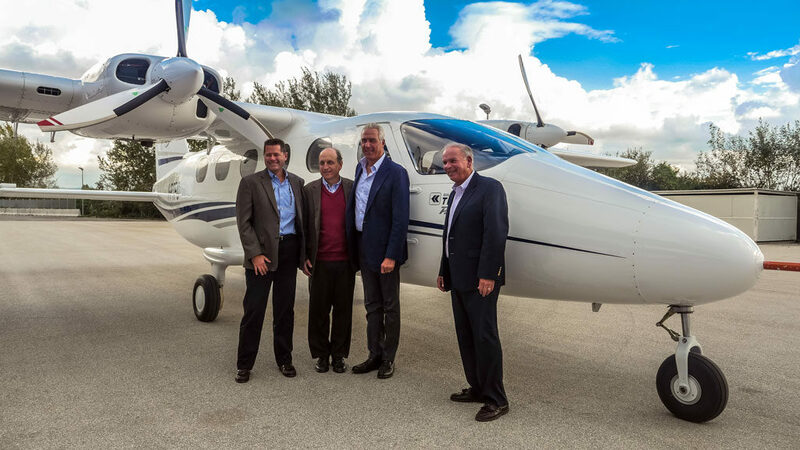 Tecnam today announced at a joint production development meeting held with Cape Air, that both companies had now entered into formal aircraft delivery negotiations. 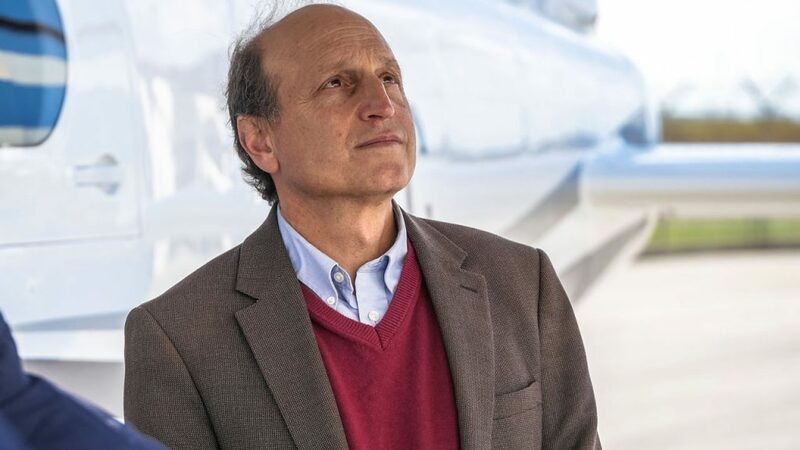 Key members of Cape Air’s leadership team, including Dan Wolf – CEO and Founder, Stan Bernstein – Member, Board of Directors and Jim Goddard – Senior Vice President, Fleet Planning & Acquisitions , visited Tecnam’s Capua, Italy assembly facility, where Dan Wolf was the first non-Tecnam pilot to fly the P2012 Traveller accompanied by Tecnam test pilot, Capt. Lorenzo De Stefano. “This aircraft is so easy to fly. 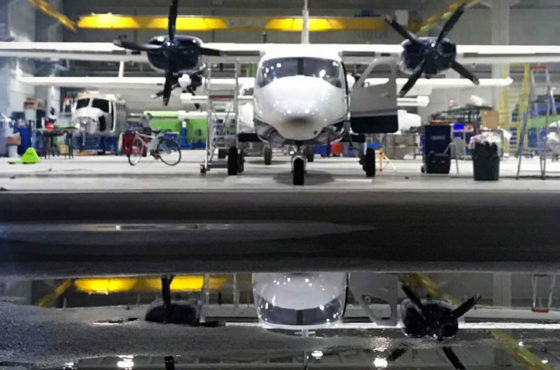 With the performance numbers we see today we are happy to offer our customers a new generation airplane that will both raise the level of in-flight comfort and safety and lower the costs of operations and fleet maintenance.” . The Cape Air team was especially impressed by the very short take off and landing roll shown during an exemplary display performed by Capt. De Stefano. 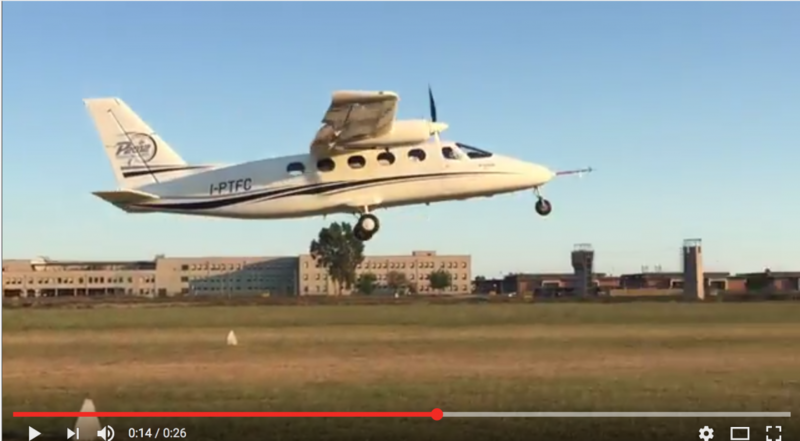 The Tecnam P2012 Traveller is an eleven seat next generation piston engine twin, designed to comply with both FAR part 23 and EASA CS-23. 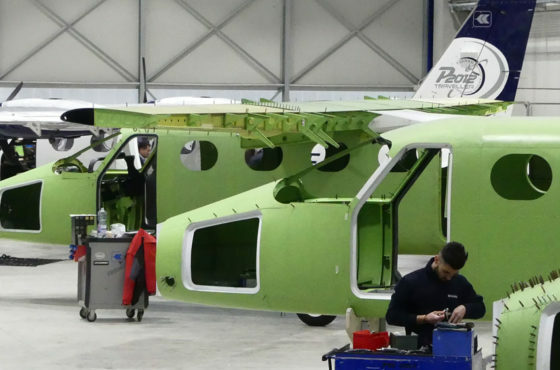 Tecnam have developed an aircraft specifically to ensure its customers benefit from very low operating and maintenance costs in particular. 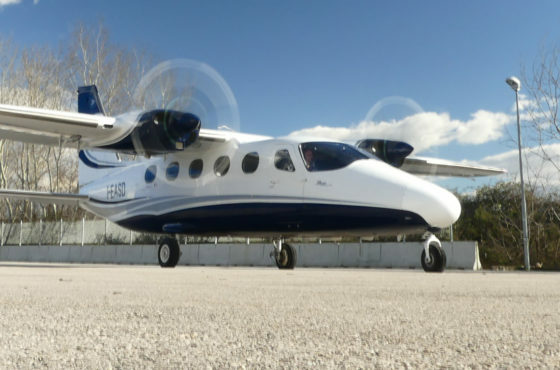 The Tecnam P2012 Traveller will first see service as a passenger aeroplane but has been designed from the start to be a very versatile and flexible aerial platform, offering many multi-role opportunities including Hydro, VIP, cargo shipping, parachuting and medevac services.